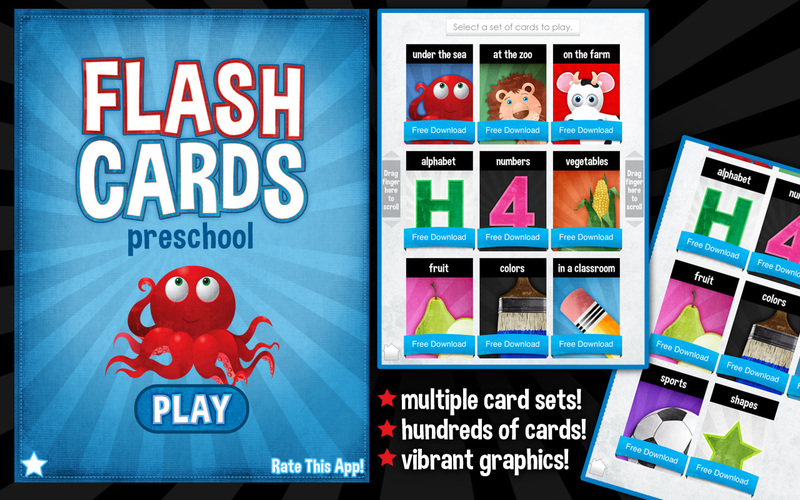 This preschool-age educational app is engaging for children to begin learning before school. 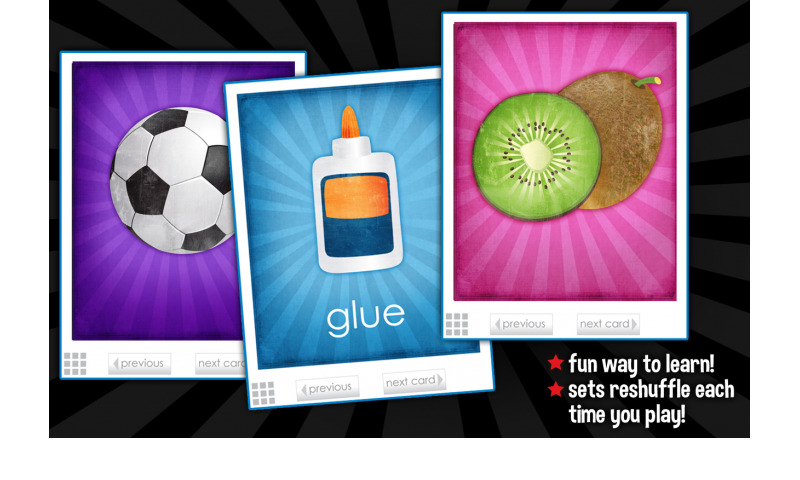 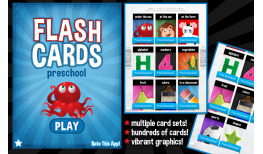 The fun graphics attract kids into playing while covering a wide variety of topics. 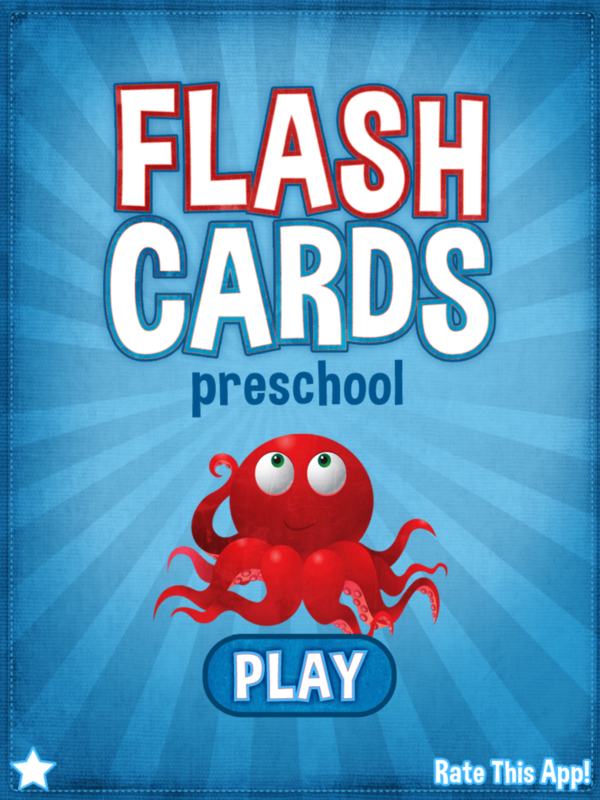 The app itself has multiple extensive sets of flash cards. 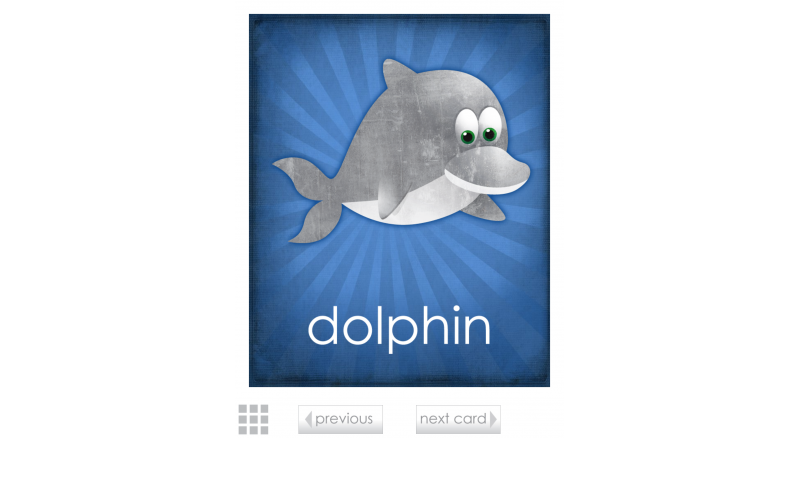 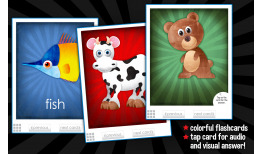 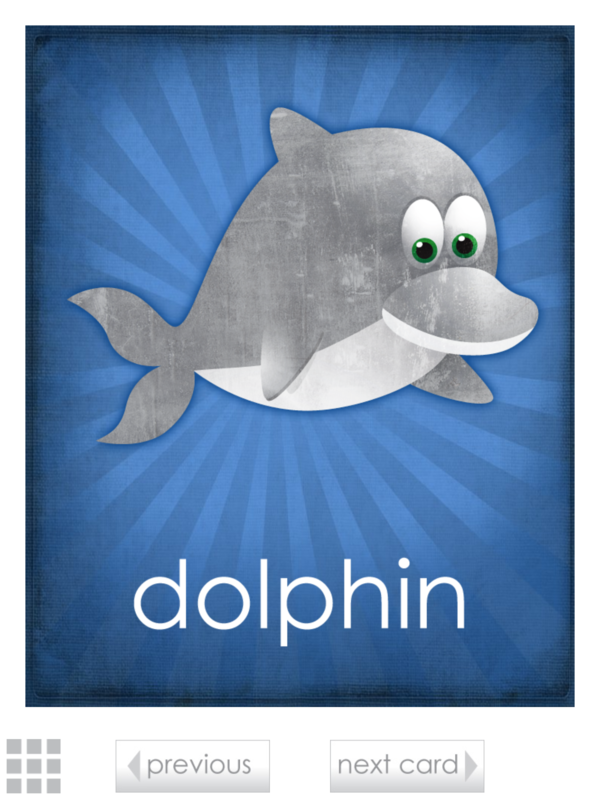 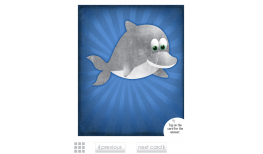 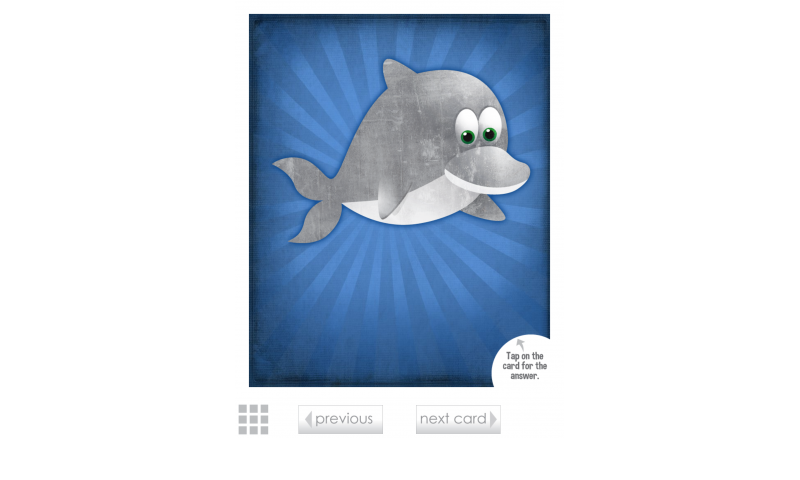 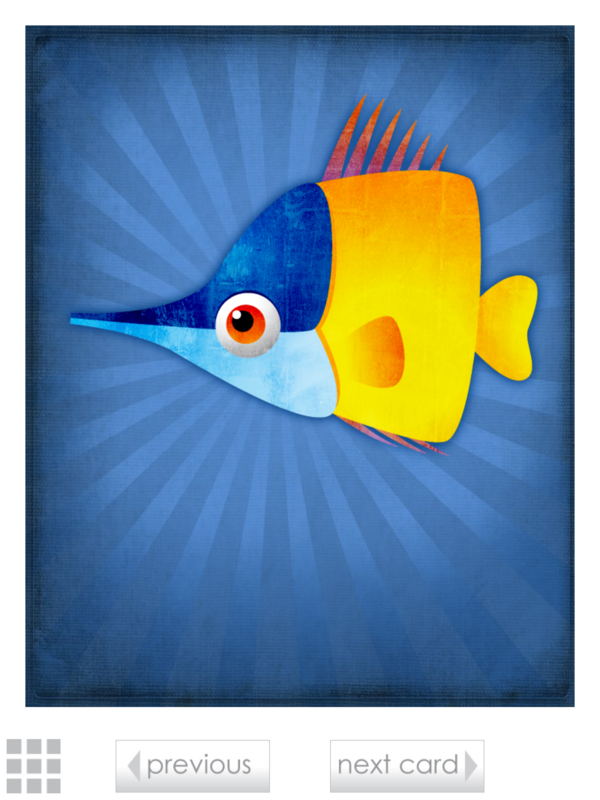 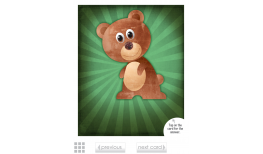 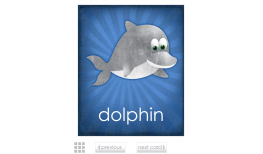 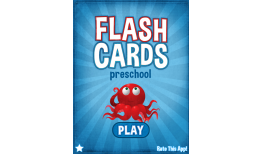 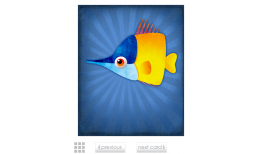 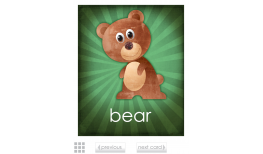 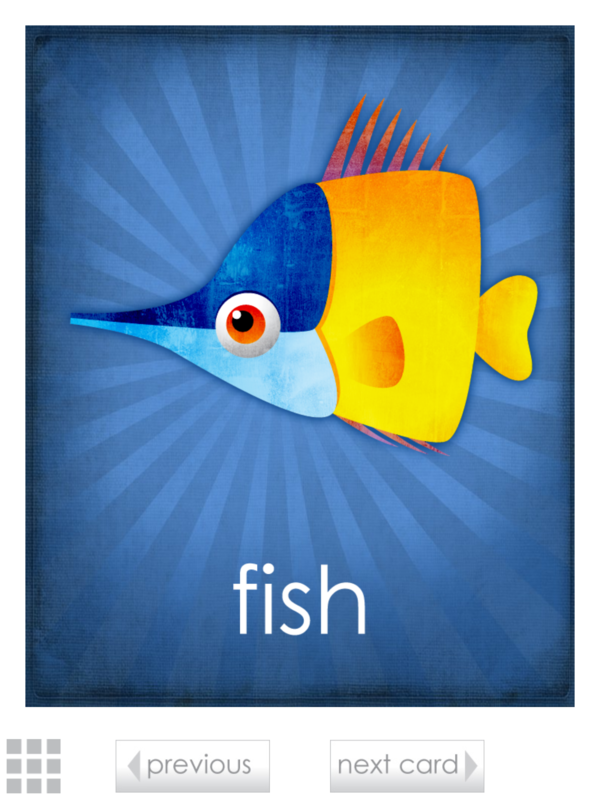 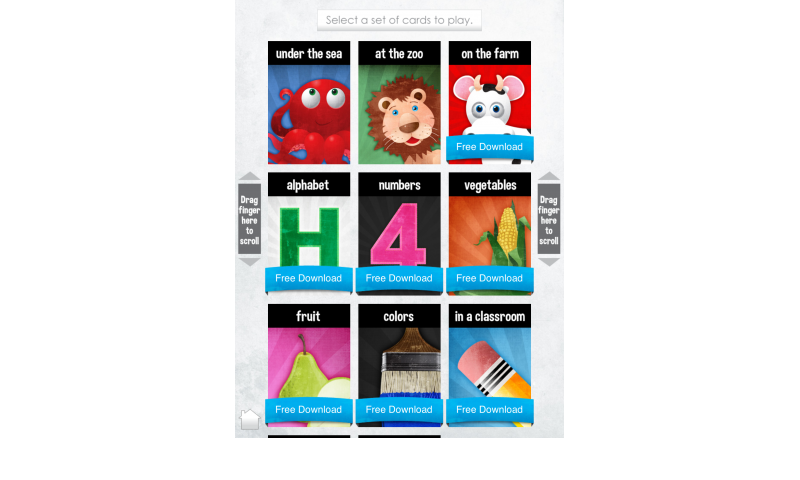 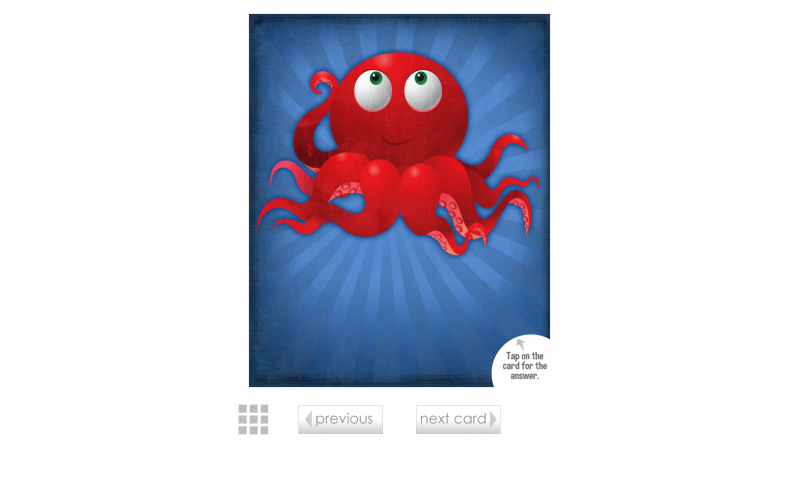 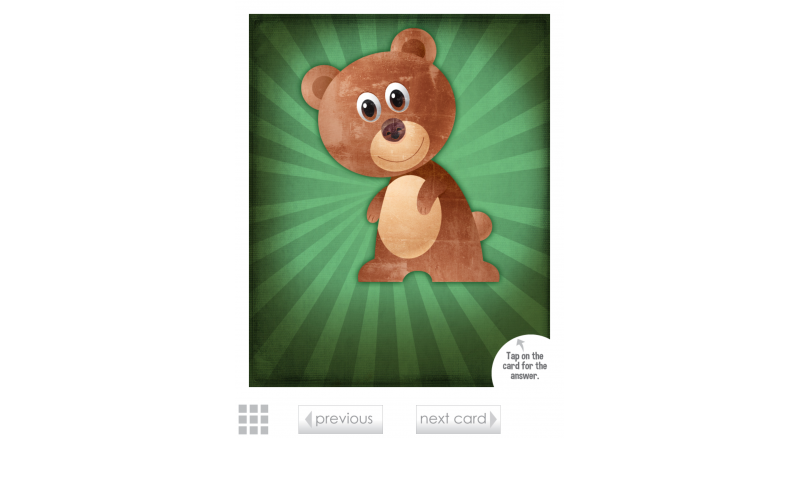 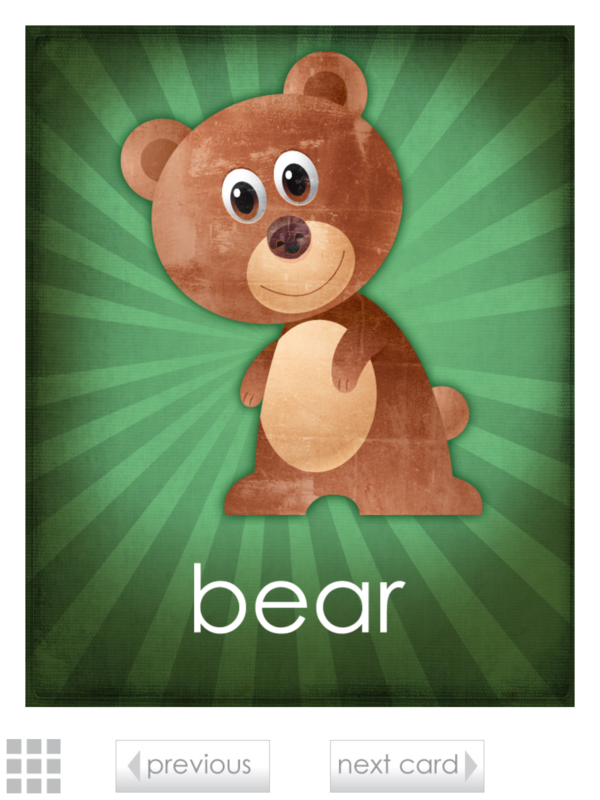 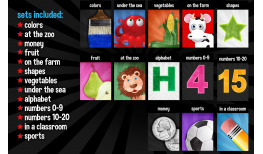 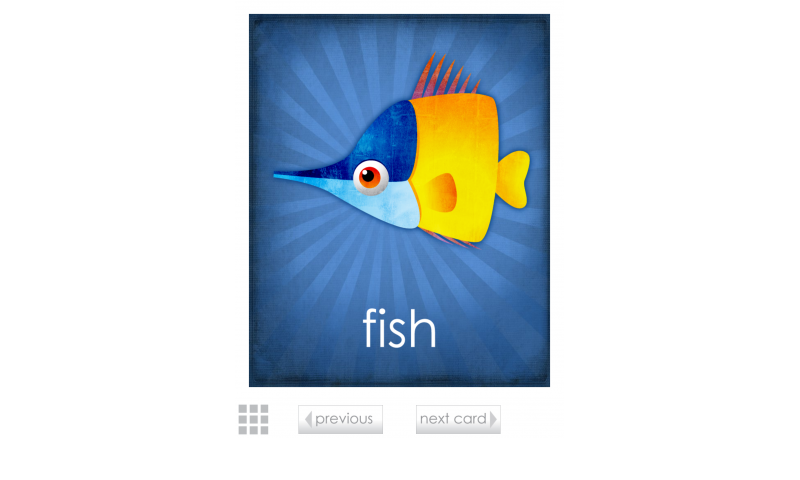 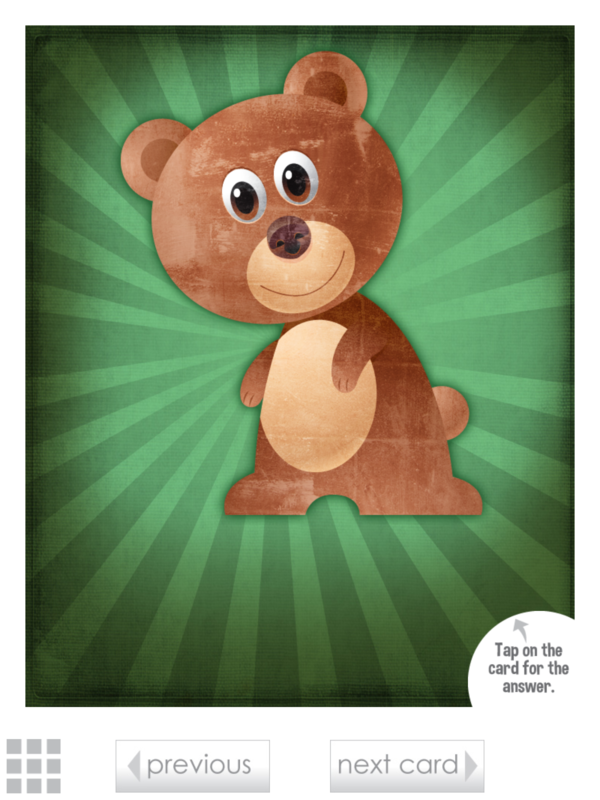 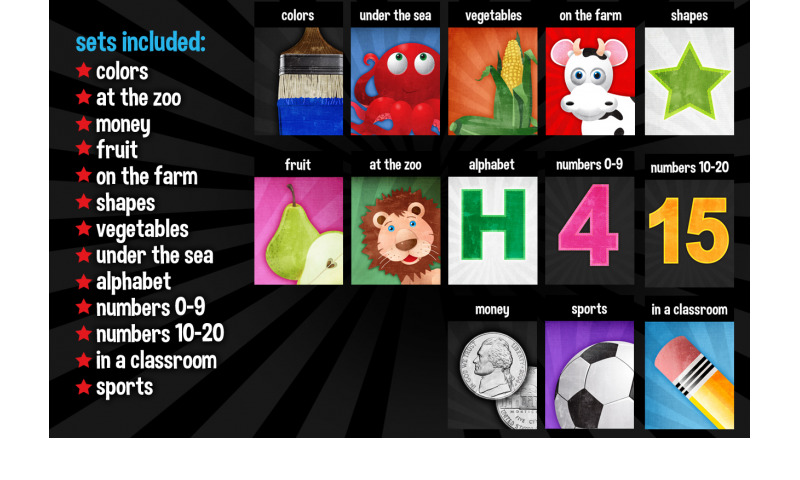 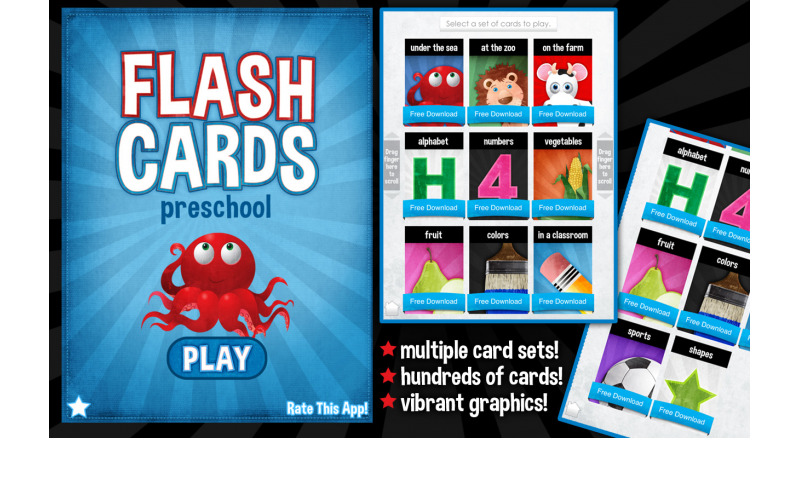 Flash Cards - Preschool has OVER 130 CARDS to choose from. 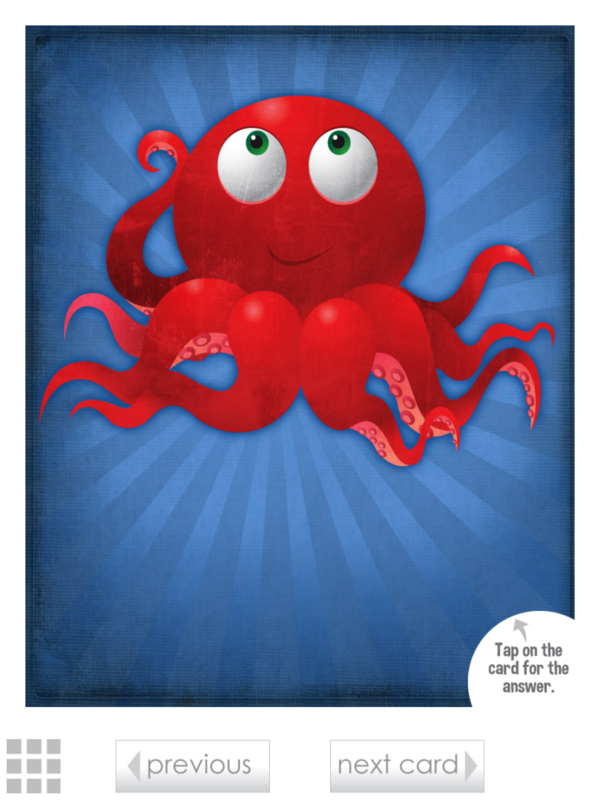 It’s a quick one to learn, too! 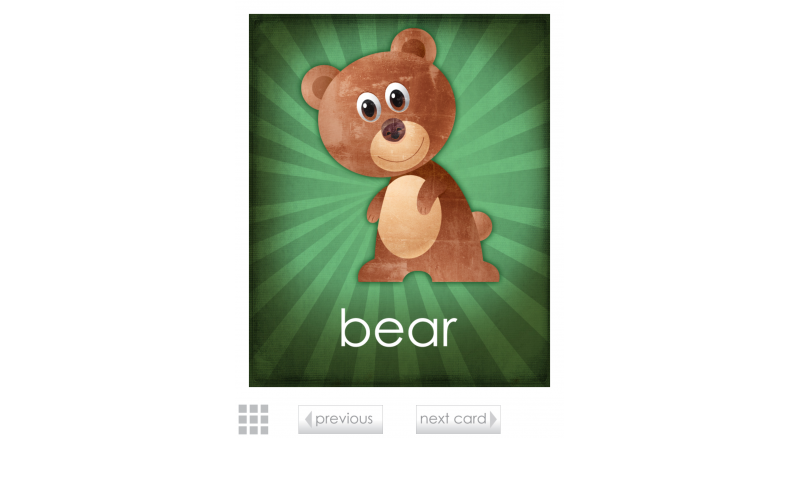 Just touch the “card” on the display screen and receive a visual spelling of the answer, as well as an audio voiceover to read the word aloud! 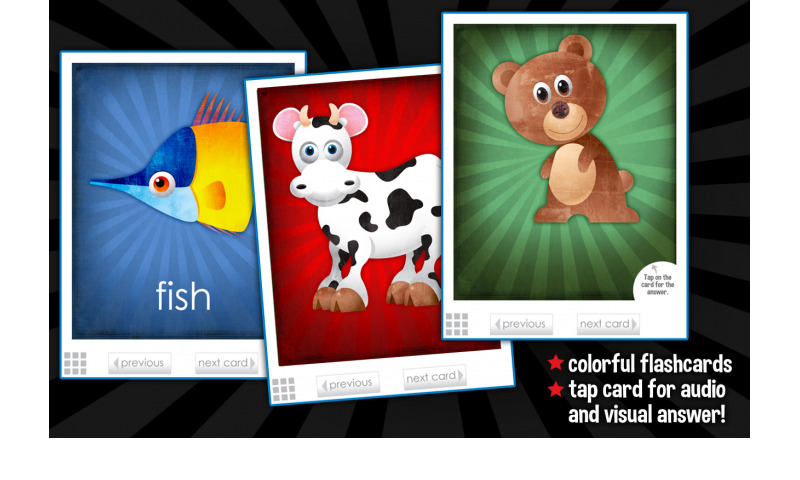 Your children will have fun with the characters and bright colors as they challenge themselves learning new images. 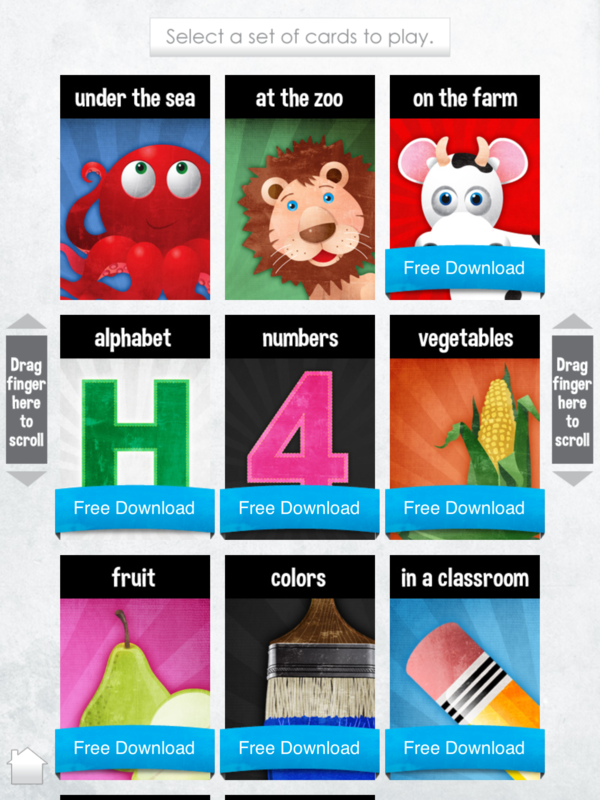 Start your children’s learning off right with this education app for preschoolers. 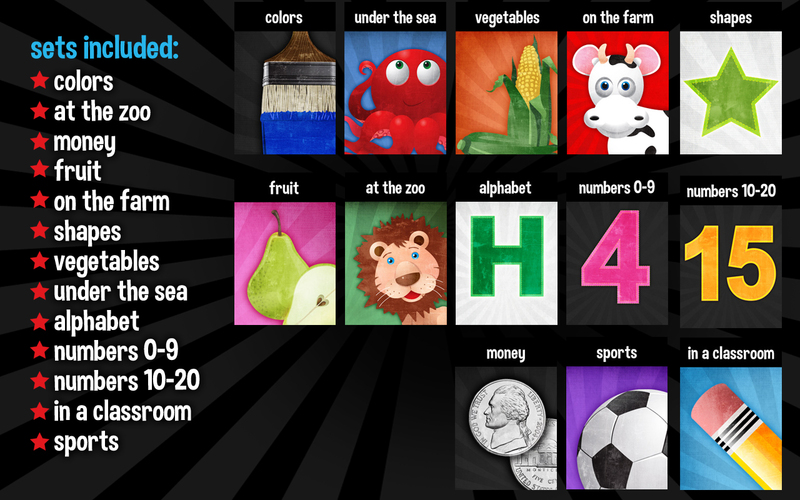 You’ll be amazed at how quickly the kids become familiar with the images and how quickly their knowledge expands. 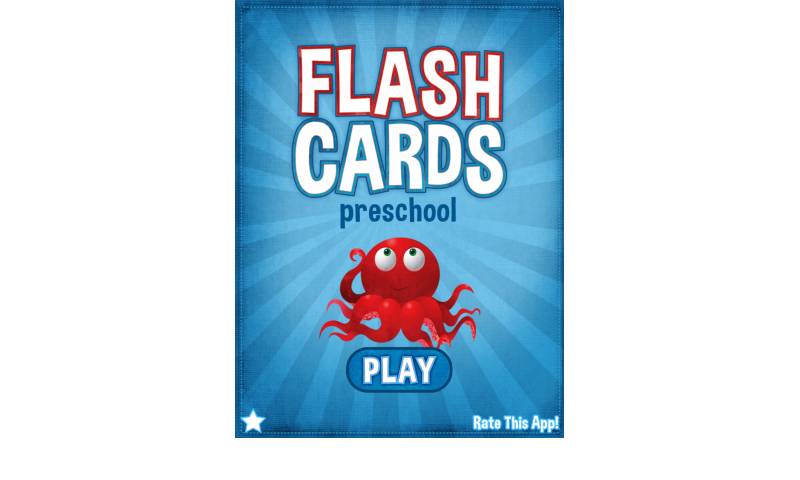 In particular Flash Cards - Preschool will help comprehension and memorization with the repetition of the flashcards. 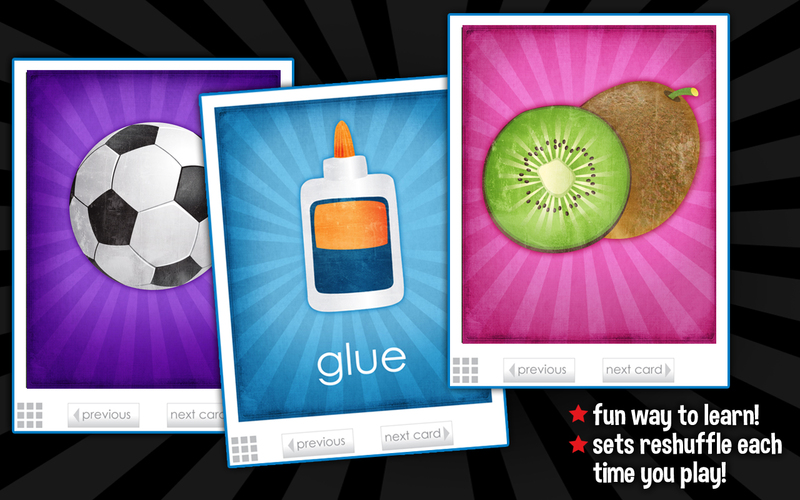 Select which deck you want to play! 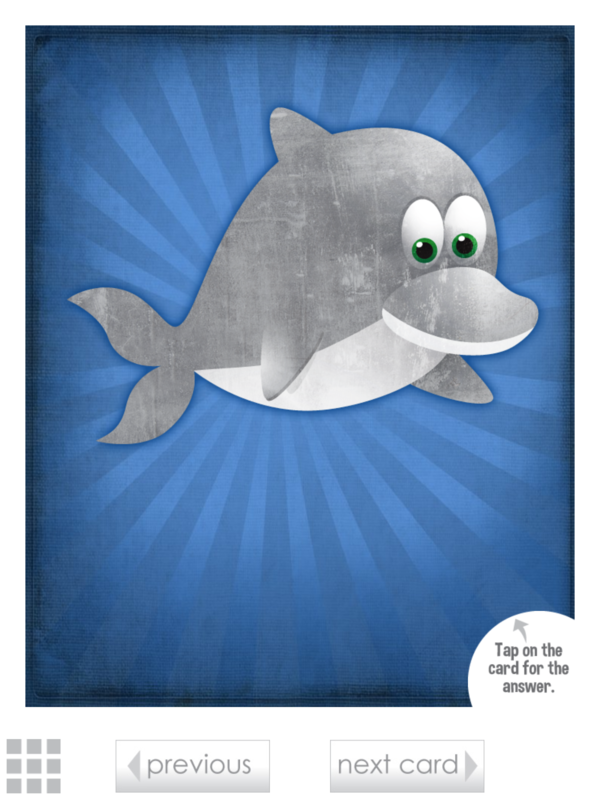 Tap on the card to see and hear the answer!